I have been a huge fan of building brand, marketing, and ultimately making sales by leveraging online social media ads. 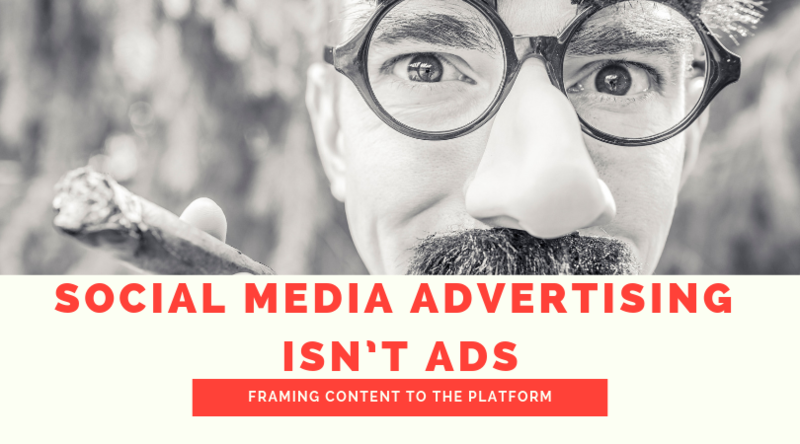 Ads is a poor word, they even call it their “ad manager” or “ad product”, but it is easier understood as a paid way to get your content in the digital feed of specific individuals. Wait – you thought these were banner ads on a website and just late night hard sales!? Please don’t think that way with these platforms. Instead reframe your mind to think of Facebook ads, Instagram Ads, and Snapchat ads today as media channels. There is so much to share on how, what, when, why, and such that you can do online to really maximize the power of these ad platforms. You can google all your answers, but if you have strategy and execution question – message me. Always happy to brainstorm with passionate founders and CMO building their brands. I have spent tons of dollars on the ad platforms. I have matured my strategy and execution over the last four years and am proud of the results. In fact, I now spend time with start-ups, Amazon drop shippers, and established companies on their strategy around creating brand and experience online. The balance in these these strategies is knowing the customer viewpoint. It is my analysis today that the consumer is overwhelmed and some ad strategies are ineffective and overpriced, today on FB and Instagram. That isn’t a permanent state nor is it for every demographic. I base this on years of data and deep insights on my current creative results. Specifically some details – we run on average 5-10 campaigns at a time + 20-40 different ad sets across the U.S.
An important question and one that is dependent upon your own customer demographic and intent. Here is how I am allocating my dollars and the strategy I am encouraging with my clients for the near term. You wish to have an impact on the world and have created something that the world needs to know about – whether you are selling or not. Next post: Does your CEO know you are still using servers in the Cloud?